Considering insuring your pet and looking for more information regarding what you could be covered for? Pet Insurance Australia shines some light on this topic, plus; what to consider when choosing pet insurance. With one of the largest pet populations in the world, it’s no surprise that the need to cover Australian pets with insurance has grown over the past 15 years. The types of veterinary advancements now available to companion animals has saved countless furry family members. The costs associated with treatment can be astronomical, particularly for complex medical problems. Pet insurance is allowing many families to concentrate on healing their pets, rather than focussing on the huge financial burden some high-end vet treatments can produce. *Not all conditions and treatments are covered by pet insurance. Please refer to the applicable Product Disclosure Statement for further information. Does Pet Insurance cover regular vet visits? Depending on your level of chosen cover, pet insurance can help towards the day-to-day care of your pet. This can include eligible vet visits, however it’s important to read your product disclosure statement (PDS) and knowwhat limits, exclusionsand waiting periods apply for regular vet visit claims. At Pet Insurance Australia, all policies receive a $300.00 annual limit for eligible veterinary consultations. Pet Insurance Australia offers pet insurance for pets that can save you as much as 80% of your eligible veterinary bills, depending on the type of cover, limits, waiting periodsand pre-existing conditions. You can also take out Routine Care which can also help with other preventative treatments such as fleas and worms, de-sexing and even training! Don’t forget to read your PDS (Product Disclosure Statement) to get a rundown of what you are covered for, the annual limits, waiting periods, exclusions and pre-existing conditions that apply. Can you claim on pet insurance straight away? After you have paid a veterinary bill, you are able to lodge a claim. This can be done electronically or by mail. Your veterinarian can also help you lodge the claim and upload all needed information such as history and the actual reason for the claim. You should note that some treatments and conditions have waiting periods which you have to sit before you can claim for them under your pet insurance policy. You should read the PDS to understand the limits, exclusions, waiting periods and pre-existing conditions. A good tip is to ensure you have your vet history on hand. If you have moved states or address’ and have changed your veterinarian you may need to provide this information, especially if this is your first claim. All claims must include itemised tax invoice/s, payment receipt/s and applicable consultation notes. If submitting a claim by post all claim documentation must be originals and must be accompanied by a completed claim form. Incomplete claim forms will be returned to you and this may result in a delay in processing your claim. Pet Insurance Australiaalso strongly recommends that the customers retain any documentation for their own records. You can choosea pet insurance policy to suit your budget constraints. For new Pet Insurance Australia policies, the cost of your pet insurance can vary depending on a number of factors including the excess selected, the benefit percentage applicable to the cover you have chosen, the species, breed and age of your pet and other factors related to our cost of doing business. Your renewal premium will be calculated based on factors including your Pet’s age, breed, location, duration for which your Pet has been insured, claims history, as well as data relating to the health of Pets that are a similar age and breed. Premiums will increase yearly based on these factors. You can read pet insurance reviews and obtaina free Pet Insurance Australia quote from our website to findthe policy that suits you and your pet. You should also read the applicable PDS to determine if the product is right for you. It is also important to understand pre-existing conditions. For example; if your young puppy/kitten has been diagnosed with a skin related condition before your insurance policy has begun or during the relevant waiting period, this will be considered a pre-existing condition and will not claimable for the lifetime of your pet. Signing up early mayhelp prevent any of these issues. 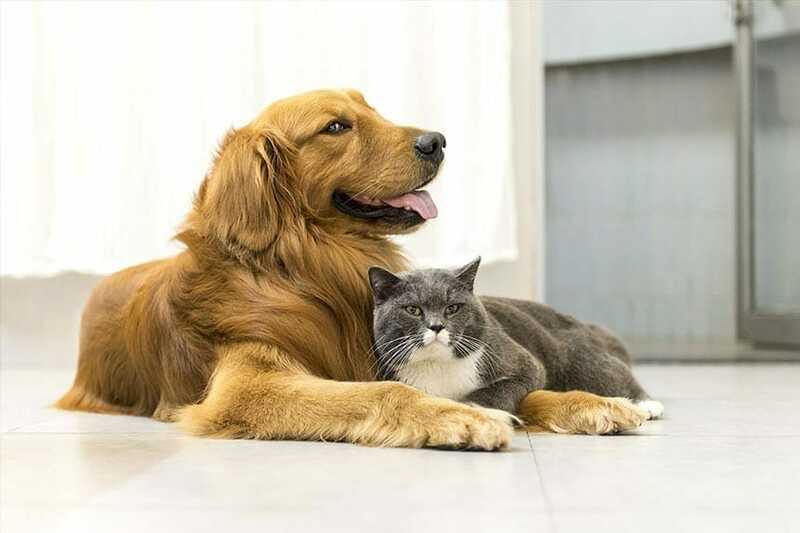 For illness cover pets are eligible for insurance with Pet Insurance Australia between the ages of eight-weeks until nine-years of age (Comprehensive Cover and Major Medical Cover only). There is no upper age limit for Accidental Injury Only Cover pet insurance for cats and dogs. Most pet insurance providers now allow you to sign up online. It’s quick and easy to get your pet covered however it’s very important that you 100% understand the pet insurance policy’s terms and conditions and what you are covered for before signing up for any insurance. Pet Insurance Australia strongly advises all clients to read and understand the Product Disclosure Statement (PDS) online to get a clear understanding of what you will covered for in regard to your pet. Getting a good picture of; limits, pre-existing conditions, waiting periods, illnesses not covered, excess and having previous vet history ready will be vital when making a claim and at Pet Insurance Australiawe advise understanding this process beforehand. The level of cover and exclusionscan vary substantially from different insurance providers. Many times, clients are not aware of some of the benefits, such as an annual benefit for paralysis tick conditions or treatments, while others are not aware that their pet’s condition is not covered until it comes time to claim. Sitting down with a nice cup of tea and reading the PDS in full can ensure you are comfortable with your pet’s level of cover and the insurance provider you choose to protect your pet. You can read about our Combined Product Disclosure Statement, Policy Terms and Conditions and Financial Services Guide here. Please note any advice is general only and has not taken into account your objectives, financial situation or needs and may not be right for you. Please read the PDS to decide if this product is right for you.